Take a Lesson with Us and Receive 50% off all our Tamarindo Surfboard Rentals for the Rest of Your Vacation! We have a great and wide selection to choose from starting with short boards, hybrid boards, fun boards and long boards. We have over 125 boards in total from 5’6″ fishes to 10’0″ longboards. 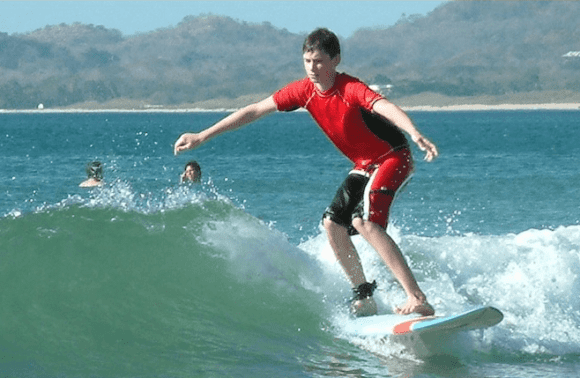 All our Tamarindo surf rentals are epoxy or softops, which is great for any experience of surfer. Before you rush out and choose a surfboard, there are many points you will need to consider. Not all surfboards are created equal, and what looks great and works well for your friend, won’t necessarily be the best surfboard for you. Don’t be distracted by the artwork and the colors either, there are other far more important considerations. 1) What is your surfing Level? Total beginners are best off starting on a soft-top longboard. Soft-top longboards are perfect beginner boards because they are the best at helping with stability and balance and help a lot with paddeling. 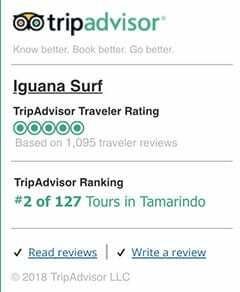 Though you can just rent a board and try it on your own, we HIGHLY recommend taking a surf lesson especially for safety reasons, but also to give you a good basis to highly increase your surfing success rate. Intermediate surfers on the other hand have a much broader range to choose from including fun boards and fish surfboards. As your level of surfing is now beyond that of a beginner yet below that of a professional, you can start to experiment a bit with the type of surfboards you choose to ride. However just remember, the more things you change the greater the learning curve, so try and find a board that will take you to the next level, but do so gradually. Your age will play a huge factor in determining the right size surfboard for you. Children and Teens will need a smaller board. This is for a number of reasons, one being they are very short which means that don’t need as much board to help them float. Second of all, they need to be able to handle the surfboard in the water. 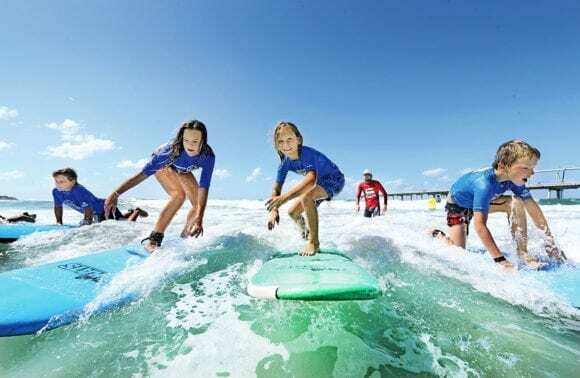 If they were to use an an adult size board, they would not be able to keep control the board very well which can be very dangerous for such a small surfer and the other surfers in the water. Lastly, they need to be able to physically carry their surfboard in order to even get to the waves. Teens and fit Young Adults who are smaller in size can get away with smaller, thinner boards for the reasons listed above. However, they may need to choose a thicker surfboard to add more volume and buoyancy. Older Surfers who maybe can’t shred like they used to, or are just picking up surfing later in life, might want to choose a longboard to make paddling and popping up a little easier. Height will help determine the length of the surfboard you need. Generally the taller you are, the longer the surfboard will need to be. For a beginner a very basic rule of thumb is to go for a surfboard that is about 1 foot longer than your height. A more experienced surfer on the other hand can opt for a surfboard with less height that is only a few inches taller than themselves. As you become more comfortable with catching waves and standing up on your surfboard a reduction in length will be beneficial. Weight will help determine the width and thickness of the surfboard you need. The heavier you are the more buoyancy you will need in a board. Width describes the length of the surfboard across from one side to the other, while thickness describes the surfboard distance from the deck through to the bottom, measured at the center of the surfboard. As you add more width and thickness to a surfboard it makes for a more stable, floaty ride. The reason this is so good for the larger riders is that it causes your body weight to produce less drag as you catch and ride the wave. It is very important to take in to consideration the break you will be surfing and the conditions of the waves that particular day. 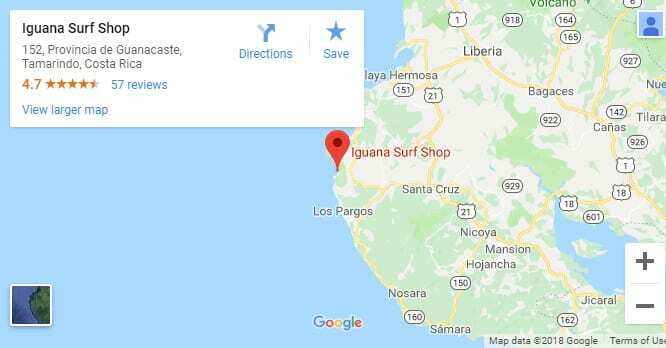 You will need to ask around or research the surf break and find out what sorts of surfboards are best for those particular wave conditions and wave size. Consistently small wave Conditions is best suited for longboard riding. This will allow you to catch waves easier and ride small waves with minimal effort. Sloppy and Mushy Conditions would be best surfable on a fish surfboard. 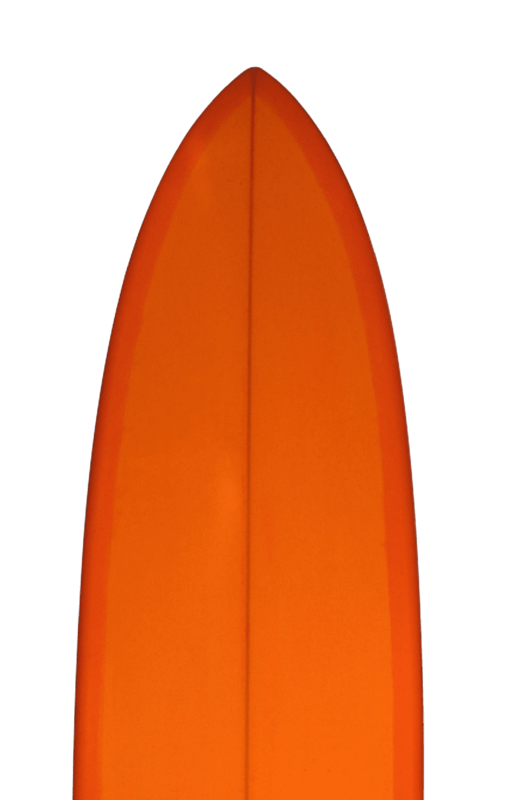 Fish surfboards are shorter and wider providing you with added speed needed to get by those annoying flat spots. Large Powerful Waves Conditions would be best to choose a surfboard with some extra length with a pintail tail design. But these are best suited for the experienced surfers only. All boards are inspected before and after rental. Check out our Tours too!